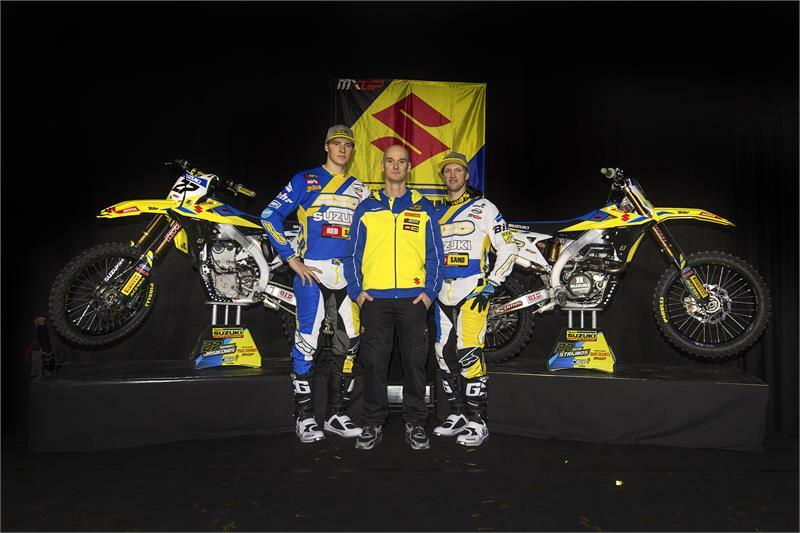 Suzuki World MXGP Team Manager Stefan Everts talks Winter Training, the new Factory RM-Z450WS, World Team Launch and preparation for this year’s World Motocross Championships. This winter was very different than last winter because we started working with a new bike. In October we received the new RM-Z450WS from Japan and we did four days of testing. This was necessary because in the Winter we couldn’t test anything due to the fact that we had to send the two test bikes to our suppliers in order to make exhausts, carbon tanks and carbon subframes; so at that time the bike was still a prototype and everything had to be done in a very secret way. Besides the arrival of the new bike, this Winter was also different than the year before because there were some internal changes at GRP; new mechanics and new riders, so a lot of new faces and people to work with.